The following Nonfiction books have been selected by the staff because they are interesting, enjoyable and generally good choices. Woodward shows Obama making the critical decisions on the Afghanistan War, the secret war in Pakistan and the worldwide fight against terrorism. Life doesn't get more hilarious than when Chelsea Handler takes aim with her irreverent wit. Who else would send all-staff emails to smoke out the dumbest people on her show? Now, in this new collection of original essays, the #1 bestselling author of Are You There, Vodka? It's Me, Chelsea delivers one laugh-out-loud moment after another as she sets her sights on the ridiculous side of childhood, adulthood, and daughterhood. 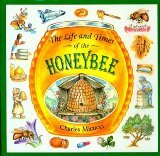 Depicts the life cycle and habits of the honeybee, describing in detail the organization of the hive and the making of honey. The country's premiere paper-flower artist, Livia Cetti is known for her high-style, gorgeous tissue and crepe-paper flowers--many of which are often mistaken for real flowers. The Exquisite Book of Paper Flowers is Cetti's comprehensive how-to manual showcasing her until-now secret techniques for creating 27 popular blooms, including peonies, poppies, roses, and hibiscus. Clear instructions and stunning step-by-step photographs show crafters of all levels how to make individual flowers as well as how to combine blooms to form 20 exquisite garlands, centerpieces, wreaths, corsages, and boutonnieres. When Robert M. Gates received a call from the White House, he thought he'd long left Washington politics behind: After working for six presidents in both the CIA and the National Security Council, he was happily serving as president of Texas A&M University. But when he was asked to help a nation mired in two wars and to aid the troops doing the fighting, he answered what he felt was the call of duty. With this book, extreme couponing expert Joni Meyer-Crothers explains precisely how she has managed to save thousands by clipping coupons, using them wisely and never paying full retail price for any product. She reveals what basic items you should never pay for (toothpaste, toothbrushes, razors, pasta, etc. ), and teaches readers techniques to obtain coupons that do not cost a penny and turn them around to save big on groceries, cleaning items, hygienic supplies, and many other household products.